RAVENOL Hydrauliköl TS 32 (HLP) is an optimal alloyed hydraulic oil which is formulated from a first refined oil. It has a high performance level and a wide application area of the whole industry. It is characterised by good viscosity temperature behaviour, a high aging resistant and a solid corrosion protection. Efficient additives offer an excellent corrosion protection even under extreme loads. The behaviour of sealing materials is neutral. 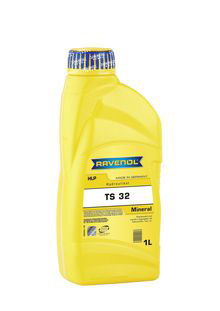 RAVENOL Hydrauliköl TS 32 (HLP) is for universally use in all hydraulic systems. It is recommended in high performance hydraulic systems with high pressure pumps of all types, in sensitive control systems, for hydraulic systems in agriculture, to supply small gearboxes and for use in circulating systems.